The Tree that Remembers is Raouf’s compassionate reflection on the betrayal of the 1979 Iranian revolution and the tenacity of the human spirit. 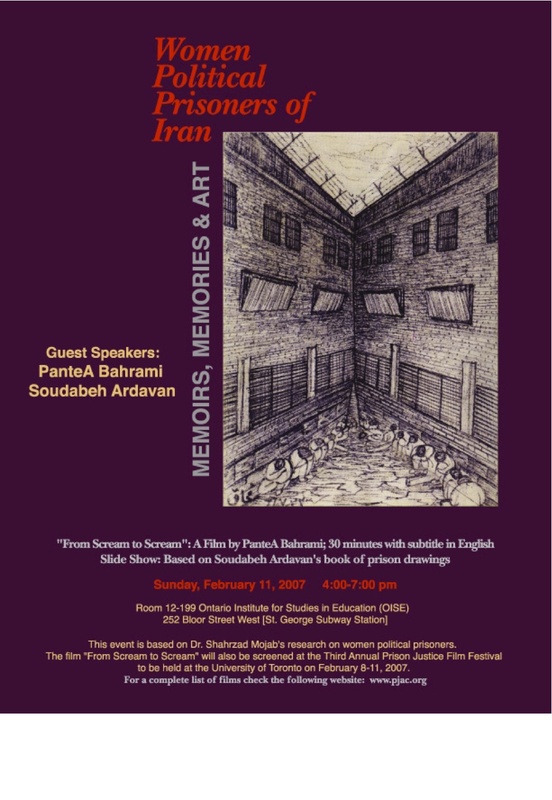 Raouf assembles a group of Iranians, all former political prisoners like himself who were active in the democratic movement. Blending their testimony with historical footage and original artwork, Raouf honors the memory of the dead and celebrates the resilience of the living. While anchored in a specific history, The Tree that Remembers reflects on the broad themes of oppression and survival, pouring light into a somber universe and finding unexpected fragments of hope. Produced by the National Film Board of Canada. This film is now available online. Please click here. Arshadi, Shahrzad and Amin Zarghami. 1999. 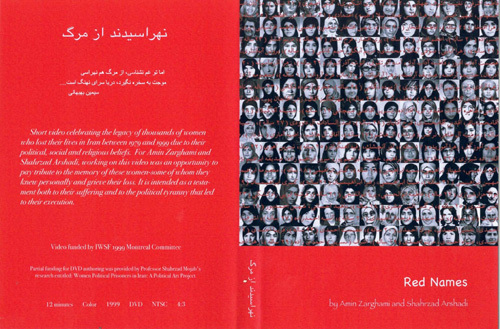 This is a short video celebrating the legacyof thousands of women who lost their lives in Iran between 1979 and 1999 due to their political, social and religious beliefs. For Amin Zarghami & Shahrzad Arshadi, working on this video was an opportunity to pay tribute to the memory of these women – some of whom they knew personally – and grieve their loss. It is intended as a testament both to their suffering and to the political tyranny that led to their execution. Please click here to view a pdf of the poster: Red Names.